The United States leads the world in obesity rates. According to the National Institutes of Health (NIH), 66% of adults are either overweight or obese, and 5% of them suffer from extreme obesity. These statistics are based on the average body mass index, or BMI. A BMI is a measure of body fat that is calculated based on height and weight. So, what does your BMI and weight classification have to do with your car accident risks? Unfortunately, according to an NIH study, as your weight increases, so does your chance of suffering severe impact injuries in the event of an accident. 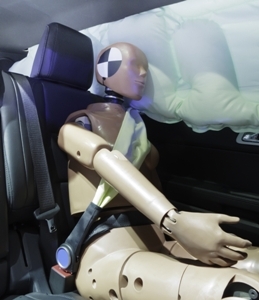 The initial study was conducted to determine if standard vehicle crash dummies were sufficient in representing the average U.S. passenger and whether an increased mass would affect safety testing. The results of this study concluded that passenger weight and size did have a significant impact on the amount of damage inflicted and the severity of the wounds. For example, the two most significant findings—described below—dealt with the insufficiency of seat belts to accommodate larger passengers. Inadequate design. Vehicles are designed based on the safety findings of crash test dummies. Unfortunately, the dummies used today are the same size and shape as the ones used 40 years ago, when the obesity rate was much lower. As a result, seat belts are designed to accommodate passengers with a BMI measurement between 18 and 25. When a passenger with a higher BMI attempts to use the restraint, it’s either extremely uncomfortable or too short to latch properly, thus increasing that passenger’s risk for serious injuries. Insufficient protection. Since obese passengers may have trouble buckling their seat belts, many choose to wear them incorrectly, or not at all. In fact, passengers with a normal BMI were found to be 67% more likely than overweight passengers to wear their seat belts properly. Increased mass. The heavier you are, the more difficult it can be to escape emergency situations. Therefore, you may become trapped in a vehicle where thinner passengers would be able to escape. Increased health problems. In addition to suffering more injuries, overweight drivers also have an increased risk of causing accidents. Overweight people are more susceptible to health problems than normal-weight drivers. These health problems, including increased fatigue, heart trouble, and diabetes can affect an individual’s ability to drive and maintain control of his vehicle. If you’ve recently been injured in a car accident and need help with your injury claim, contact us today. We will fight to ensure your rights are upheld. Just because your weight may have added to your injuries, doesn’t mean you deserve to be taken advantage of by the insurance company. Contact our office today and allow us to explain why having an experienced lawyer is the first step to getting the injury settlement you deserve. Post a Comment to "How Obesity Increases Your Injury Risks in a Collision"